Accelerating ScienceAdvancing Mining / General/Industry / Industrial Diamonds - As Good as Gemstones, or Better? Industrial Diamonds – As Good as Gemstones, or Better? When many people think of diamonds, they think of sparkly gemstones used for engagement rings, but the truth is, only about 30% of diamonds are of “gem quality” and suitable for jewelry. The remaining 70% of mined diamonds, known as bort, are sold for industrial applications. Diamond is the hardest substance on earth and has the highest thermal conductivity of any material at room temperature, qualities needed for numerous industrial purposes. 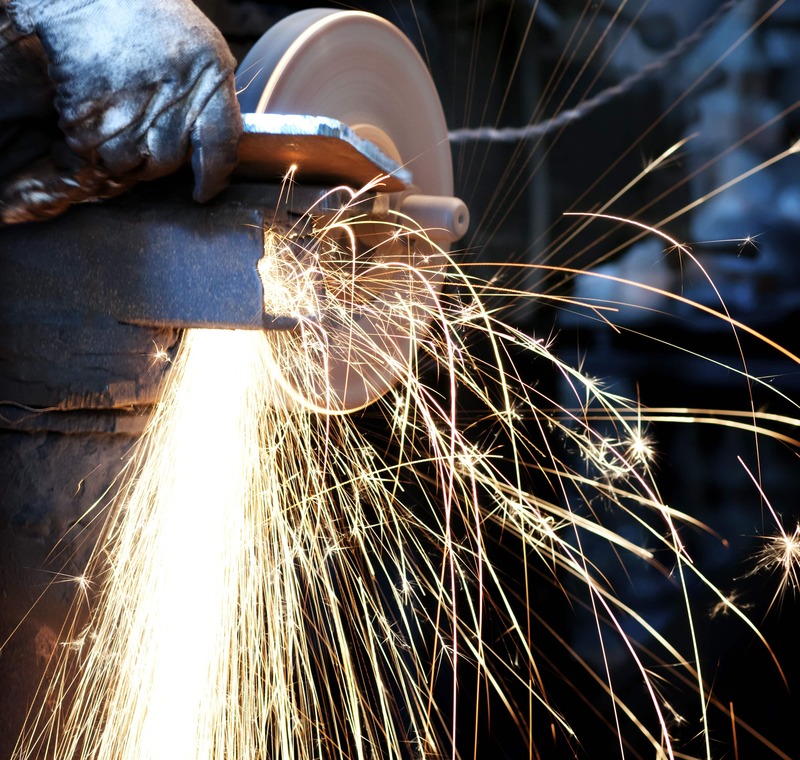 Diamond is used as an abrasive in grinding, drilling, cutting, and polishing, and has proven to be more cost-effective compared to other abrasives in many industrial processes because it cuts faster and lasts longer. Diamond also has chemical, electrical, optical, and thermal properties that make it ideal for wear- and corrosion-resistant coatings, special lenses for laser radiation equipment, heat sinks in electrical circuits, wire drawing, polishing silicon wafers and computer disk drives, and other applications. Are synthetic industrial diamonds as good as natural ones? In 2013, total domestic production of industrial diamond was estimated to be 104 million carats, and the United States was one of the world’s leading markets. Total domestic secondary production of industrial diamond was estimated to be 37.3 million carats. The major consumers of industrial diamond are computer chip production, construction, machinery manufacturing, mining services (drilling for mineral, natural gas, and oil exploration), stone cutting and polishing, and transportation systems (infrastructure and vehicles). Synthetic diamonds are formed by high-pressure, high-temperature (HPHT) technology or by Chemical Vapor Deposition (CVD). Both technologies were developed in the 1950s. The HPHT method works by exposing carbon and graphite to high pressure and temperature, similar to the natural geologic factors that form diamonds (at depth of more than 100 km within the Earth), while CVD accomplishes the same result in the opposite environment, low temperature and pressure. According to the Gemological Institute of America (GIA), most synthetic diamond producers are shifting to the CVD process because of its lower cost. This method also creates colorless diamonds closer in appearance and quality to natural stones, some of which are making their way into the gemstone market. GIA researchers have conducted tests on CVD-produced diamonds to discover signatures that can be used to tell the difference between CVD and natural diamonds. A previous article addressed how without FT-IR Spectroscopy, you may not be able to tell the difference between synthetic or natural diamonds. While the synthetics may be improving in quality, when it comes to jewelry they are still no match for natural, gemstone quality diamonds. Natural diamonds, both gem and industrial quality, are the product of either open pit or underground mining, in which diamonds are contained in kimberlite pipes, or they are extracted from alluvial deposits in riverbeds, coastal, and undersea locations. Each scenario requires an efficient and streamlined mining process to recover the most diamonds in the most economical way. Find solutions to your most technical and challenging mining issues, from exploration through processing. Thanks for the update. I’m not loving that it’s not easy to tell them apart. Does it really matter though? They are made of the exact same molecules, why would you not want them? Actually, what confuses me even more is that synthetic diamonds can be even more “perfect” than natural one, we choose diamonds by their purity. Commonly people prefer “Naturally perfect diamonds” to “Synthetically perfect diamonds”. Both diamond types may look the same to naked eyes. I have looked at both of them using Scanning Electron Microscope with 200,000 magnification. Under such huge magnification, you can see some crystallographic differences. I know, you may say “we do not look at diamonds with that type of magnification”, but when it comes to pricing, all counts. We should also value age of natural vs synthetic diamonds. How you can compare something called synthetic diamond that just few years old vs natural diamond that been naturally created and born at the beginning of time and will last for eternity. Is Deep Sea Mining One Step Closer to Reality?